Qualitaly? I can assure you that I didn’t spell it wrong. Then what is the Qualitaly? It is a word that the Italian Chamber of Commerce and Industry has put together. Doesn’t “Qualitaly” looks like a combination of “Quality” and “Italy”? Yes, you were absolutely right. The project of Qualitaly focuses on educating and informing the general public and potential customers to showcase the true quality and authentic Italian cuisines. In the Western societies, especially English speaking countries, people knows Italian because of their famous and delicious cuisines but nowadays, pizzas and pastas are the two major area. Hence, a huge amount of community members may think Italian cuisines are all about pizzas, pastas and their slight variations. At least most of the people that I know have similar thoughts. However, in fact, Italy has got more culinary delicacies to offer with distinctive regional characteristics. Thus, the Italian Chamber has put together a series of dining events at restaurants around Adelaide to offer diners an unforgettable experience to tour Italian gastronomically to taste the best quality and most original Italian cuisines. 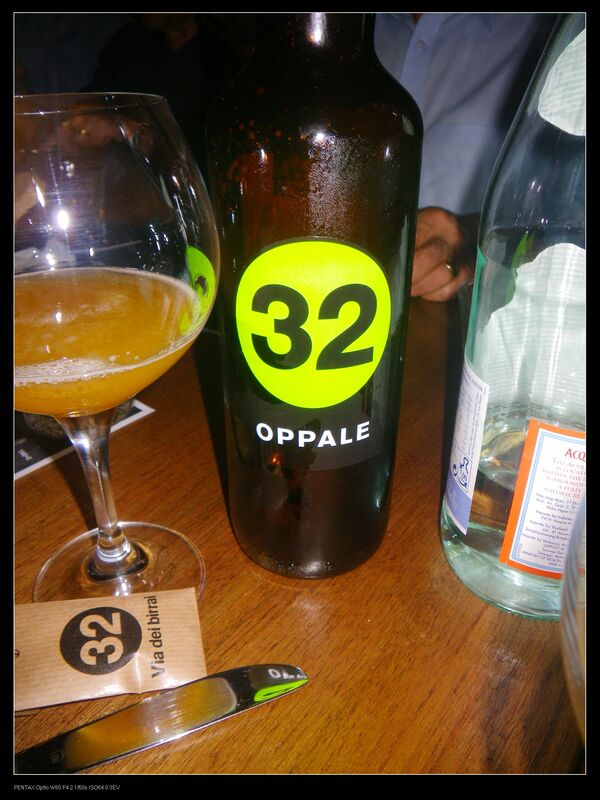 In the previous post, we discussed about the dinning event at Pizza e Mozzarella Bar with matching beers from 32 Via dei Birrai, a microbrewery from Italy, specialising in artisan beers. Before I go any further, I would like to take this opportunity to thank Rio Coffee to provide my readers the opportunity to enjoy and experience genuinely good and high quality beers. Rio Coffee has been providing Australians with high quality hand roasted specialty coffee since 1964. 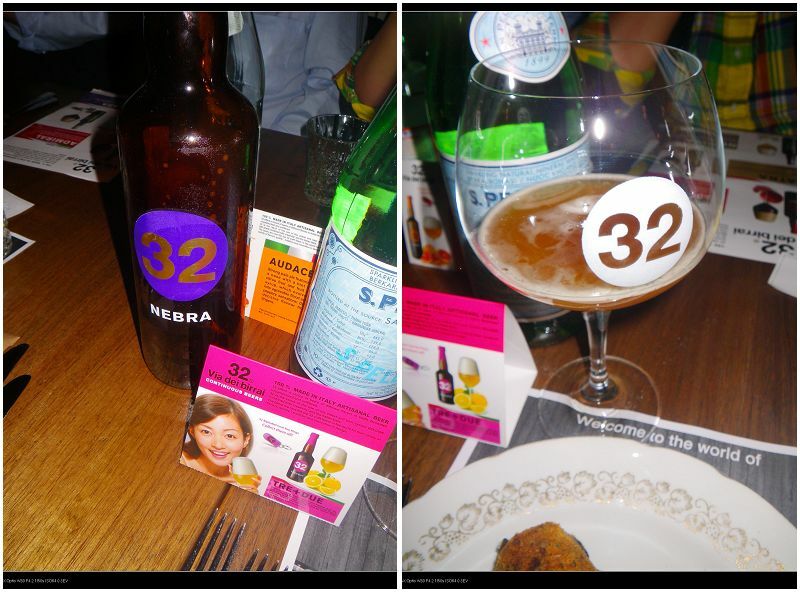 Nowadays, Rio Coffee distributes varieties of specialty food and drinks including the 32 Via dei Birrai beers. 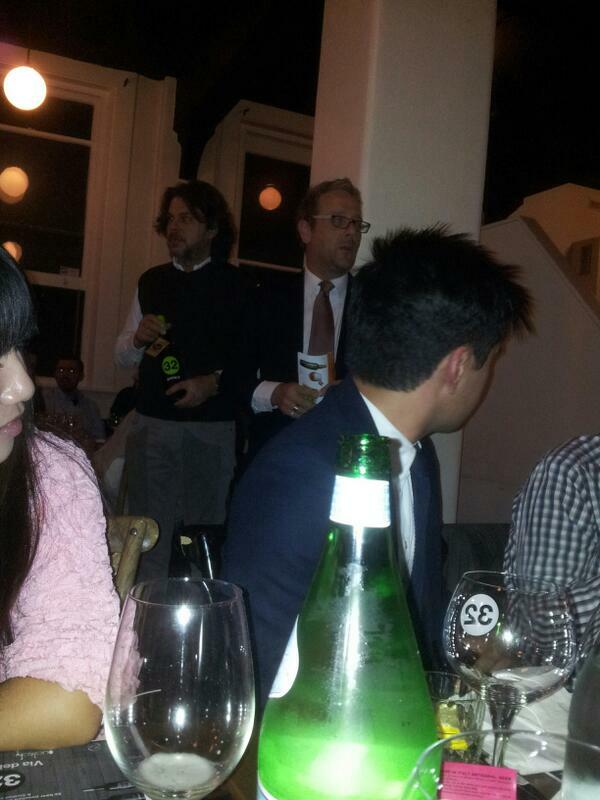 To promote the brand and educating customers, the Master Brewer of 32 Via dei Birrai, Loreno Michielin travelled all the way from Italy to Australia for the first time and presented at the dinner, where he talked about the philosophy and techniques used in brewing the beers. I should admit that he was successful because all the beers I had for the night can be very good alternatives to wines. Also, as indicated by Loreno, there are no preservatives in the beers, which are also 100% natural. Now, let’s get back to the beers. I’ll talk about the sensory aspects of the seven different beers and you may want to compare them if you are selected as one of the lucky winners. The beer is of a pale straw yellow color with a white and compact head. The beer contains 3.2% alcohol level with low and fine carbonation. It was unfiltered and undergone secondary fermentation in the bottle. On nose, a strong fruity citrus smell can be obtained easily after a good mixing. On palate, a hint of orange peel can be obtained initially and a mid-palate bitterness can be expected. 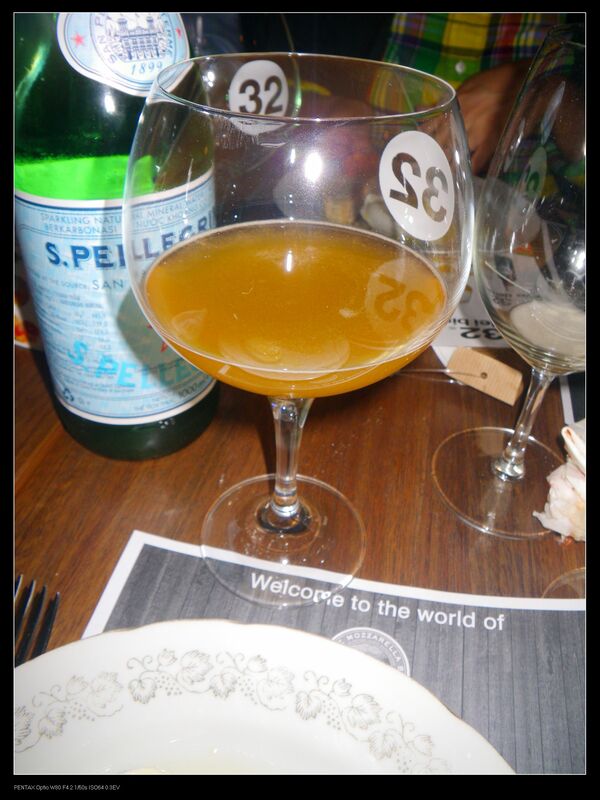 The beer had a cleansing effect at finish and hence can accompany dishes with either rich flavour or raw fresh fish. 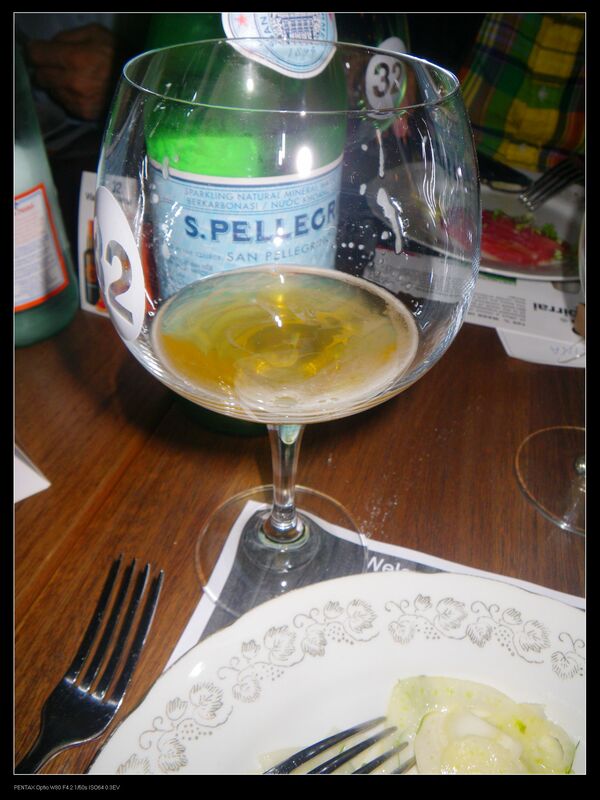 For the dinner, the beer was used to complement the pizza and the tuna crudo. This is a quite strong Belgian style ale with strong and spicy flavours. My first sip made me crazy as the alcohol level was actually very high compared to other beers in the Australian market. 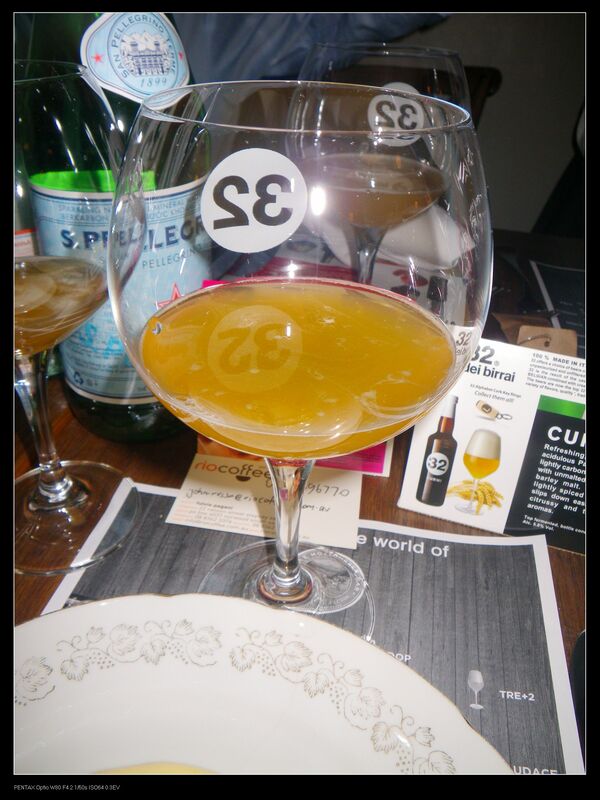 With a pale straw yellow color, the beer contributes some citrus, almond, camomile and peachy smell on the nose while being astringent at the beginning on the palate. However, with continuous drinking, the bitterness and astringency disappeared gradually leaving a pleasant cleanness in mouth. This character made it so good to complement rich flavour but non greasy food and that’s the reason for its combination with ‘nduja. The beer had an amber color and a slightly spicy, caramel and floral aroma on the nose. However, if not notified, I really can’t tell the beer contained 8% alcohol. The beer was extremely in the mouth and always provided a delicate flavour for each sip. This made the beer to be versatile and be compatible with almost any dish. At the dinner, the beer was provided with the dish of squid ink croquettes and it did not overcover the taste of the dish itself. The beer was of a light copper color with a caramel and toffee on the nose. A hint of ripe pineapples can be detected as well but on palate, only caramel flavour can be obtained. The finish was rather bitter although the alcohol level was only 5.5%. The beer was especially good with oily meat and hence it was used at the night to balance out the fatty taste from the bone marrow. This is a relatively low alcohol beer with 5.8% alcoholic content. It showed a lemony color with some good floral aroma on the nose. If you go a bit deeper, a slight catch of acidic citrus can be possible. 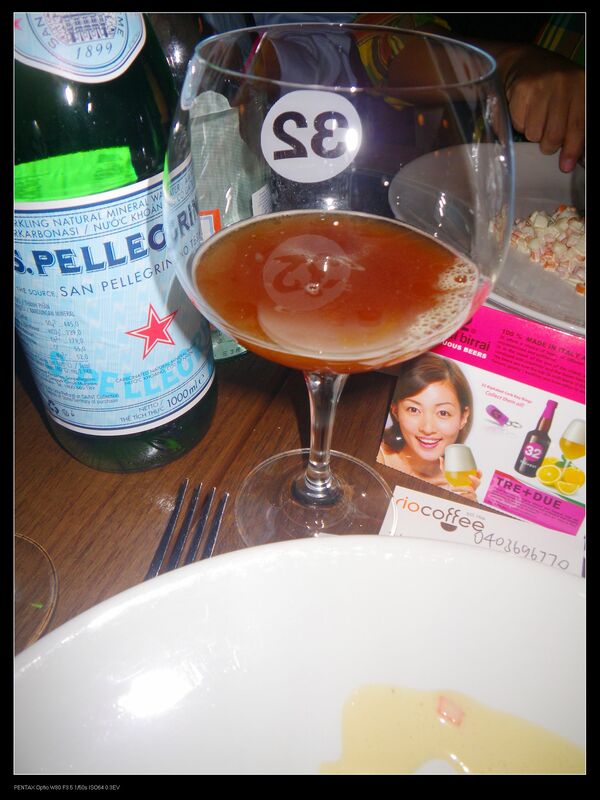 On palate, only malt flavour was detected but the med bodied beer was so smooth in the mouth with a refined texture. It goes well with white meat and creamy cheese and was therefore used to complement the pulled pork lasagna for the night. The beer was of dark amber and ruby color with some caramelised malt aroma as well as slight acidity on the nose. On palate, a strong caramelised malt and a hint of roasted malt acidity was detected. It was slightly bitter with 6.3% alcohol level and would go well with game meat, in our case, a veal steak, which was not very game but the beer covered the raw meaty flavour well. This brown beer was just fabulous! It promoted aromas of roasted coffee, walnut, chocolate, barrel and light ripe caramel on the nose when being served. I even wondered if it was real coffee cos it smelled really like the coffee beans. The beer was light and watery and totally tasted like roasted coffee and caramel on palate with a hint of bitterness. With 7.3% alcohol level, the beer can complement a series of sweets, cooked creams and sides. It was provided to match the dessert for the night. 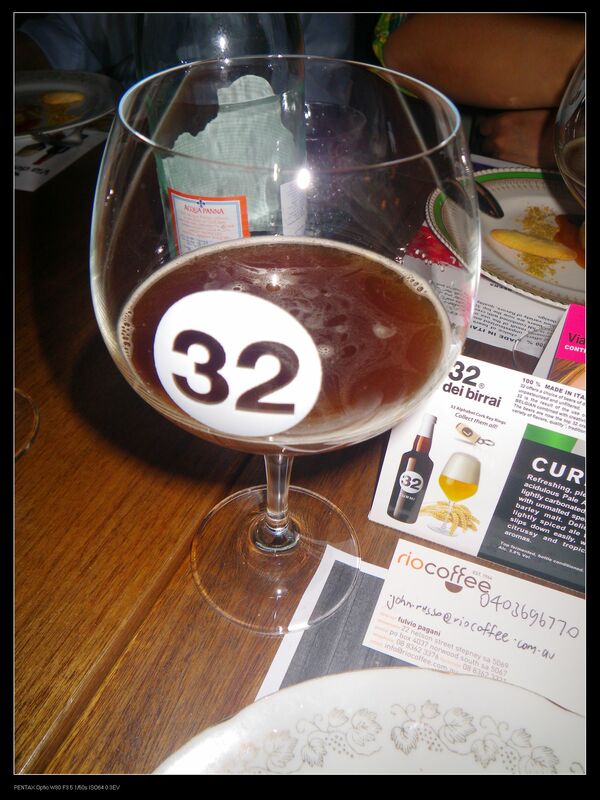 Generally, I’d say the 32 Via dei Birrai beers are very well fermented with various sensory characteristics which can enable them to be enjoyed with a number of dishes. They can be good alternatives to wines and can help to build a new dining culture. Highly recommended! NOW, it comes to the most exciting part of the story! Three of my lucky readers will now have the opportunity to experience and taste the fantastic artisan beers at their own comfortable home, thanks to the Rio Coffee! Adelaidefoodies.com is giving away THREE 4 bottle pack of 32 Via dei Birrai to its readers and followers on facebook. 1. This competition is open to SA and VIC residents only. 2. Log in to enter, using the entry form, and click on each task to view the instructions. 3. The first 4 tasks are mandatory and must be completed to enter the competition. Comment on this post. Subsequent tasks are optional, but will gain you more entries, thus more opportunity to be a winner. 4. Make sure you record your entry to be counted. 5. I have 3 of the 4-bottles-pack of 32 Via dei Birrai to give away. 6. THREE lucky winners will be drawn at random. 7. The winner will be notified by email and their names will be posted here. Click on the pic to be transferred to the competition page! My favorite Italian dish is prosciutto di parma. Love it! My favorite Italian dishes are the antipasto. Good to start the night with! My favourite would have to be a risotto marinara. Delish!! Spaghetti, chilli, oil & garlic for me! Cannelloni riempito con spinaci e ricotta, condita con salsa bolognese, con una spruzzata di Romano., or Cannelloni filled with spinach and ricotta, topped with bolognese sauce, with a sprinkle of romano, and a good beer to wash it down. Bellisimo!